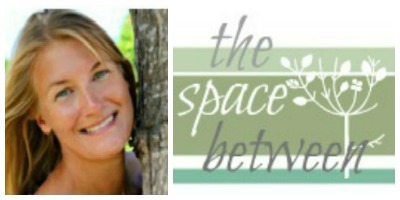 I’m very happy on this Feature Friday to introduce you to my wonderful friend Karah from The Space Between. She has flair for coastal decor and has created one of the most amazing works of art from driftwood. It’s one of my all time favorites and she’s going to show us how she made it. Welcome Karah! Hello, hello all Sand and Sisalers!!! How are you today? My name is Karah and I blog at the space between and I’m am so excited to be over here today with you all. Like Kim, I am a lover of all things sand and sea (and home decor) and have just recently moved to Key West, FL where my husband and I are transforming a dated, old 1950s Conch style house into our home, one DIY project at a time. We are basically updating every single surface inside and out as we try to show her some love. But she is definitely a work in progress … thank goodness we enjoy the journey … making the most of “the space between”, where ever that may be. Right now it looks a little bit like this. Yikes! So I’m taking a little break from all of that today and I’m excited to show you how to make a super simple wall art project out of driftwood. And this easy craft project is proof that there are projects that can take less than 15 minutes and have a huge presence in a room. The first step is picking a backdrop for your craft. It could be a frame with craft paper in the back or a painted piece of wood or anything, really, that fits with your style and is flat. Once you have your backdrop, plug-in your hot glue gun and lay out your pieces of driftwood in the shape you desire. I knew I wanted a fish shape, but how about a tree shape for Christmas or even a monogram would be fun! You’re really only limited by the sizes and shapes of your driftwood. And this piece is 37 inches wide and 25 inches high, not only is it the perfect statement piece for our new board and batten wall, but I love that we can create something so unique and meaningful to us in less than 15 minutes and for nothing more than the cost of the hot glue. I’ve had a lot of fun upcycling driftwood into crafts. If you, too, love driftwood check out how you can make your own driftwood Christmas tree, driftwood and seaglass Christmas craft or other random driftwood craft ideas. Or if a full house renovation is right up your alley, check out our somewhat scary before video house tour and get caught up on the whole process here. And a huge Thank you!! to Kim for letting me crash her pad blog today. Speaking of coastal holiday decor, did you see her awesome coastal pumpkins? Gah, why didn’t I think of that?!?! Love them! You can also find Karah on FB, Twitter, Pinterest, Instagram, and G+. thank you so much for letting me share your blog today!! hope you’re having a great summer!! I love it! My mom lives on the Oregon coast so I have a great source for driftwood. Now I totally have a rationalization for collecting it. Hmm, and it would sure make a nice gift for my Mom’s beach house. Boom! Christmas done for Mom. I love drift wood craft prodject. Something about it in you home makes you feel instantly comfortable. I too live by the beach (although my beaches are much cooler than key west) and like to use it as my inspiration in my decorating. Thanks for showing how fun an easy bringing it into your home can be. Love Karah! And this is one of my favorites of her projects. She’s fantastic! Key West is awesome and those cigar houses are adorable! It’s a great place for art!